We have an anniversary to celebrate: It has been exactly two years since My First Afternoon with the Pooches! In that time, 301 dogs have been profiled and 231 of those dogs have been adopted (plus countless others who were adopted before I could meet them). Shamrock and Ebbie, the first two dogs I wrote about, are still waiting at Orphans of the Storm® for their furever homes. Let’s try to find a home for these two lovable long-timers! 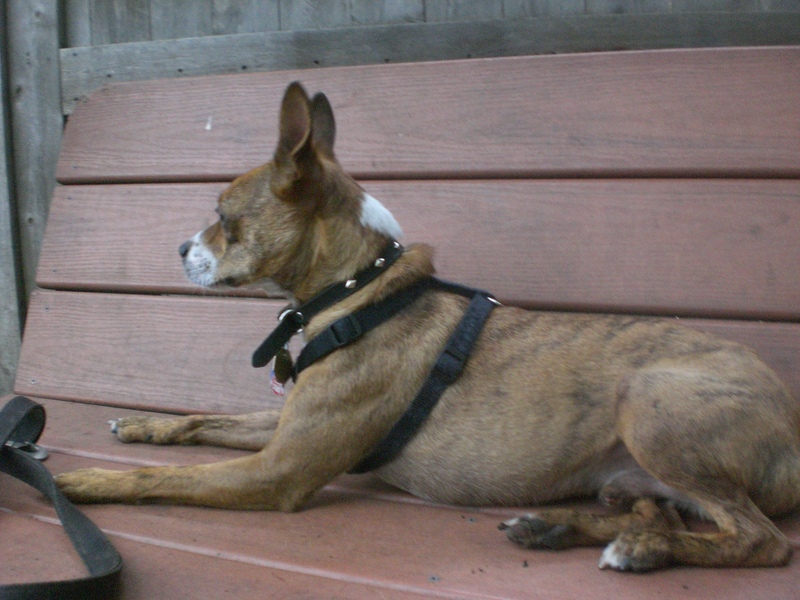 Also of note: Akiva is the most popular dog on this blog! Her post (Orphans of the Storm® Dogs Get a Little Muddy) is the most-viewed post, and her picture is the most-viewed picture–understandably, because she is beautiful. Wouldn’t it be wonderful if the most popular pooch was able to find a home to call her own? Let’s celebrate this anniversary by meeting some more pooches! 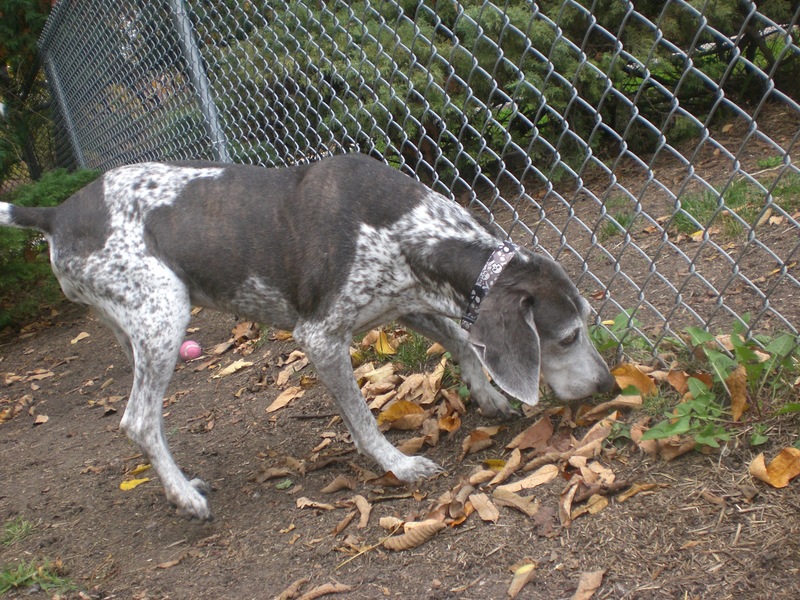 Demi the five-year-old German Shorthaired Pointer mix is one pretty pooch, with those unique gray spots and patches. Demi does her breed proud by following her instincts. 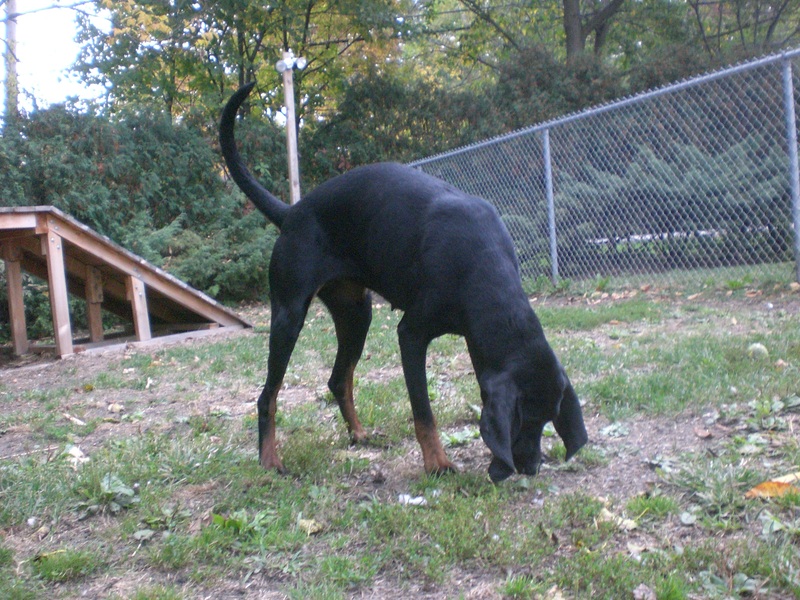 She was always interested in keeping her nose to the ground to make sure there wasn’t any game she should be pointing at–and when a little chipmunk ran through the grass in front of us, Demi went straight into Pointer mode and stood as still as a statue, waiting for it to appear again. When Demi isn’t pointing, she’s more than happy to snuggle. While we were in the off-leash run, she came when I called (most of the time) and eagerly sniffed my face as I scratched her back. 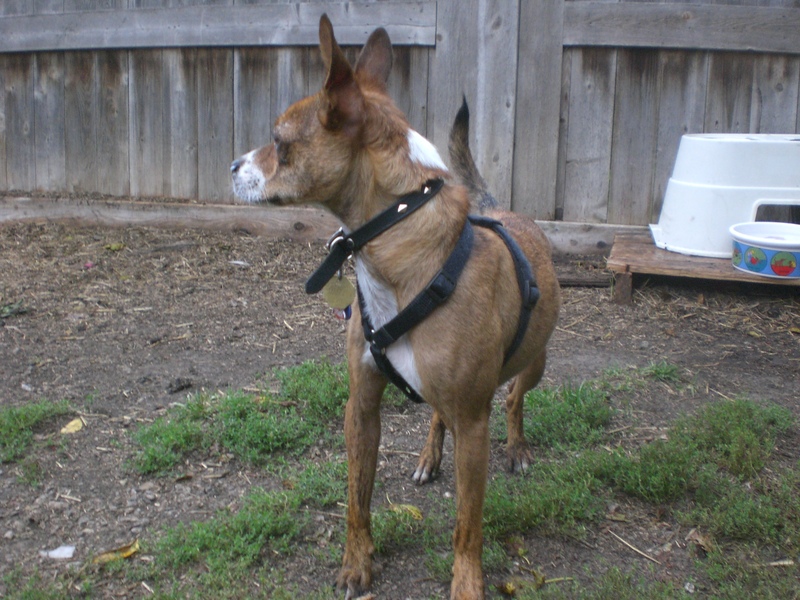 Demi would prefer to be in an adult-only home that can give her lots of love, which she will be sure to return. Come in soon to see if Demi is the pooch for you! Mona the two-year-old Hound mix is an energetic girl who likes to be in the middle of all the action. She wanted to say hi to all of the people and other dogs that were out with us and had a great time running around the off-leash run. 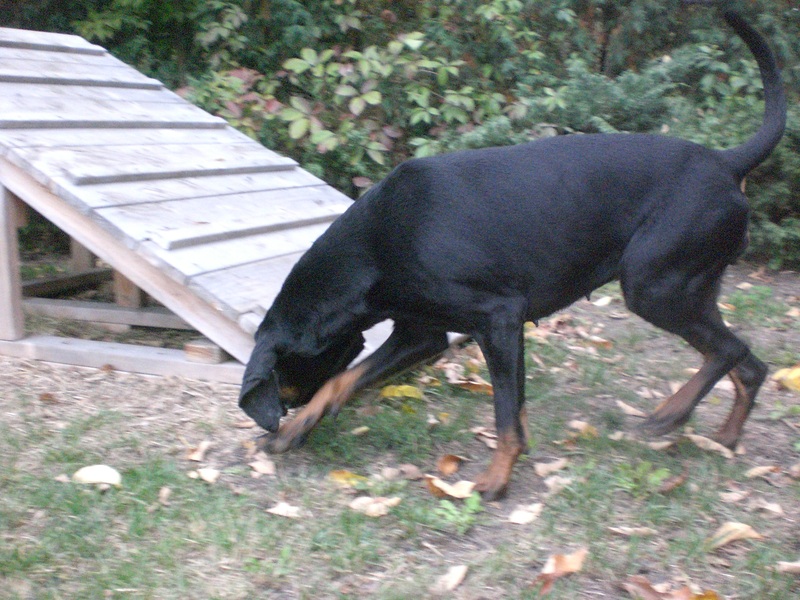 Of course, whenever I tried to get her picture her nose was stuck to the ground, doing what Hounds do best. But believe me, she has an adorable face! Mona was excited when other dogs were around, but when it was just her and me, she was much calmer. She would stand right next to me so I could pet her, and she especially enjoyed getting a nice scratch on the hips and on her long, floppy ears. If you’re looking for a dog who will be up for long walks that include lots of new scents to explore, Mona is your girl! Bonzai the one-year-old Terrier mix is super cute, and also probably the snuggliest pooch I’ve met so far! Bonzai is very interested in finding a lap to sit on. He’s pretty funny about it, though–he rolls around and around until he gets comfy, and then he settles down and loves to get a nice scratch between the ears. He’ll cover your hands in doggy kisses too, if you give him the opportunity. Bonzai, being a Terrier, also has plenty of energy. He was running around the off-leash run and hopping on and off the bench and wanted to be the one to lead the way on our walk. When it started to pour, though, he jumped into my lap and we stayed nice and dry together on the bench. Bonzai was sharing his kennel with another dog while I was there, so he could go to a home with or without other dogs–and he loves kids! Come in soon to meet Bonzai! Finally, thank you to all of the loyal readers, followers, and sharers who have made these last two years a huge success! There are 70 dogs still listed on the Dog Profiles page–let’s try to get that number down to 0 and find homes for all of Orphans of the Storm®’s lovable dogs. 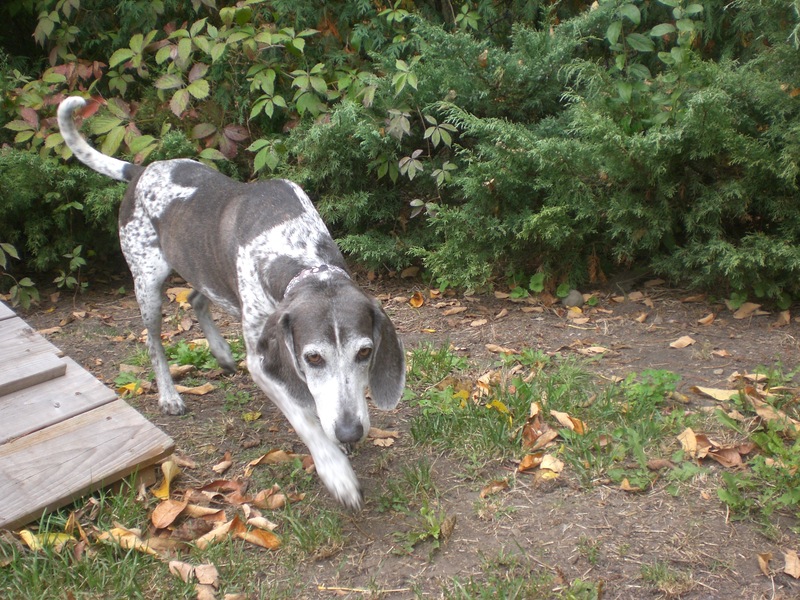 Posted by Meet the Pooches on October 17, 2013 in Dog Profiles and tagged adopt, adoption, animal shelter, animals, Chicago, dogs, German Shorthaired Pointer, Hound, Orphans of the Storm, pets, Terrier. Thanks! Pup and Luna are adorable, too 🙂 How did a rabbit end up with a doggy name? ?